The business category on Money Rebound has been lacking in content for a while now so with the battle for the smartphone and tablet market being hotter than ever going into the holiday period, I thought I’d get the ball rolling by sharing the following infographic which shows how two of the biggest players – Apple and Samsung – are shaping up for the fight to be the top dog in this competitive and lucrative market. Both companies are widely believed to be the global market leaders in sales of smartphones and tablets. Apple’s iPads and iPhones currently hold a slight advantage over Samsung’s Galaxy range in both the US and Europe, but right now, the Korean tech giant reign supreme in the key Chinese market, which Apple are keen to crack. Apple’s 5% share in the Chinese smartphone market is pretty small, but a possible deal with China Mobile could change that. The firm’s investors, no doubt worried by the company’s shares sliding by around 45% in the past six months, will be eager to see the deal come off and provide Samsung with a far stronger challenge. 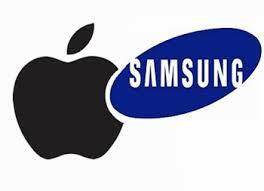 At the moment, Samsung are gaining ground on Apple. As a number of Apple smartphone and tablet users have switched to their rival, the China deal could be described as make-or-break for the company’s future. Apple remains one of the more popular stocks with traders, although this could change if they fail to gain a foothold in the Chinese market anytime soon. Anyway, here are some figures to help you to make up your own mind as to which you think has more chance of winning the race to be the future market leader in smartphone and tablet sales not just in China but worldwide, Apple or Samsung? Trading Halted in China… AGAIN!